In the world of manufacturing today t seems as though everything is getting smaller and smaller. This presents a challenge for companies to not only produce but also inspect components at a microscopic level. For years many, metalworking and automotive companies have used traditional microscopes for inspection; however these microscopes are often limited by their resolution and depth of field. Companies are finding themselves turning to scanning electron microscopes to meet these demanding requirements. 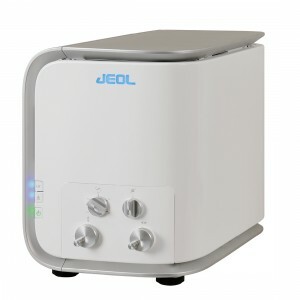 Join us on Thursday, November 12th for an exclusive webinar featuring the new NeoScope JCM-6000 Plus Benchtop SEM from JEOL. Nikon Metrology’s SEM Sales Specialist, Mike Wolfe, along with JEOL’s Senior Applications Engineer / Assistant Director , Donna Guarrera will provide a presentation of this exciting product. This compact, easy to use, and affordable instrument can help broaden your company’s inspection capability and provide a distinct advantage in today’s competitive market. Don’t miss this opportunity. Sign up today!